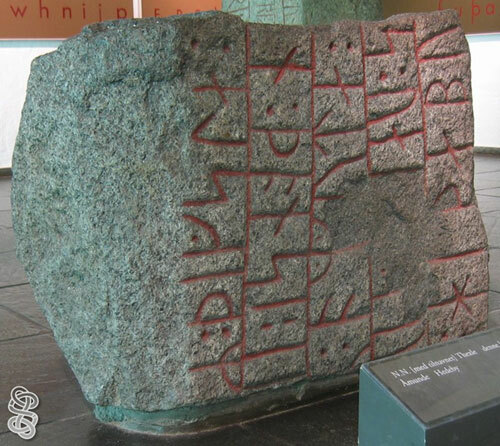 This rune stone badly damaged, and it's impossible to understand what the text is all about. You can clearly read "Hithabu" to the right, reading from the bottom to the top. Like the previous rune stone, this one is standing in Moesgård Museum, and I got them both from my friend Ogneslav. Thanks !